1 Put the lamb in a degh / or heavy bottomed pan along with water, oil, salt and hing. 2. Cover up and cook for about 15 minutes. Stir once in a while to ensure all of it mixes well. 3. Check for the doneness after 15 minutes. you should be able to put in a fork into the meat effortlessly. If its done, let the water dry up. If not .. cook it some more till its tender and then let the water dry up. 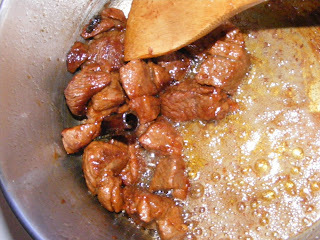 4.Once the liquid dries up, the lamb will start to cook in the oil. Lower the heat and keep cooking till the meat gets an even brown tone and starts to get crisp. 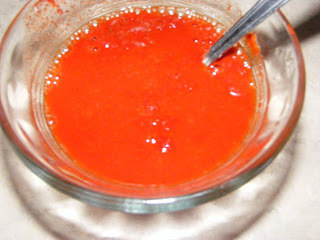 5.Now add the chilli powder, Mixed in a few table spoons of water and stir as if your life depended on it. this is because the dish depends on it .. the chilli powder should not get burnt. 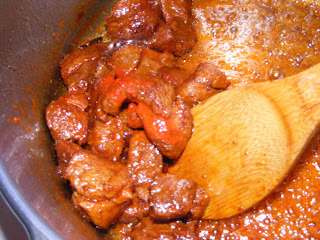 6.The dish would attain a dark red color. 7. Add in the ginger powder and a tea spoon more of water. The idea is the same.. the dry powder should not burn . 8. Cook till the oil separates. 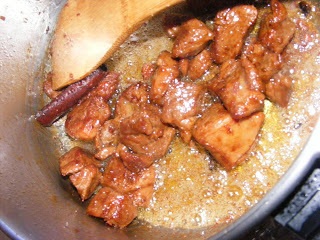 add the garam masala.. cook some more and spoon out on a plate of Boiled Long grained white rice. 9. Cuddle up on the couch with your guy/girl and eat from the same plate .. While cooking fish..only remember not to over cook it..if chicken takes 20 minutes..mutton takes 40 minutes..fish will take less than 12/15 minutes. hey Ansh…I have a big favor to ask…..in my webmaster tools I see my home page getting linked to your site 163 times and I don’t know how this happened, because of this I’m facing heavy penalty, can u plz help me in any case my web page url got linked so many times ? wow…the lamb fry looks divine dear…. Neelu : What ever made u happy . Daal Chawal is a great combo for anything. 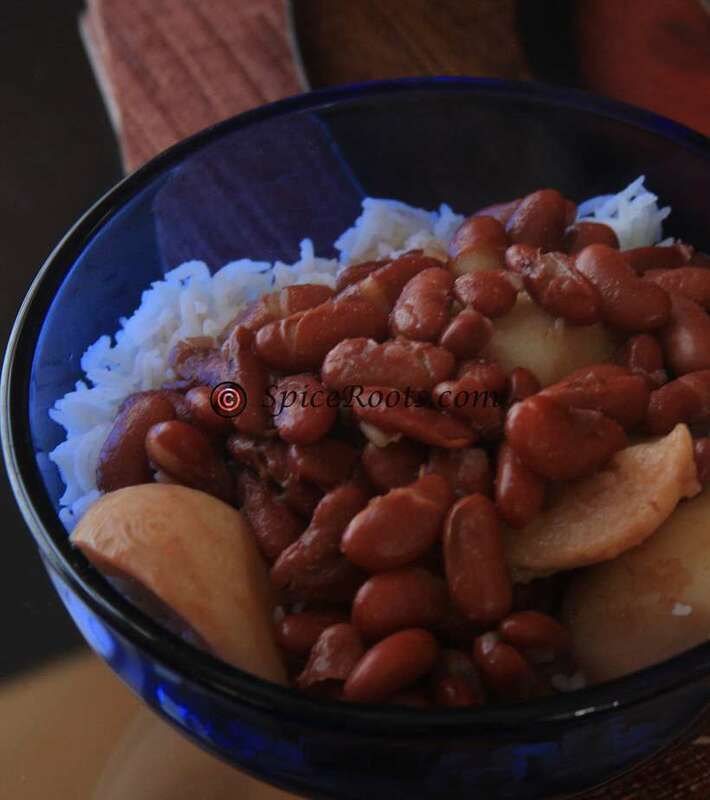 try the Rajma.. and let me know the feedback. Hi Anshie- The chicken looks soo yummy. I went through all your recipies. 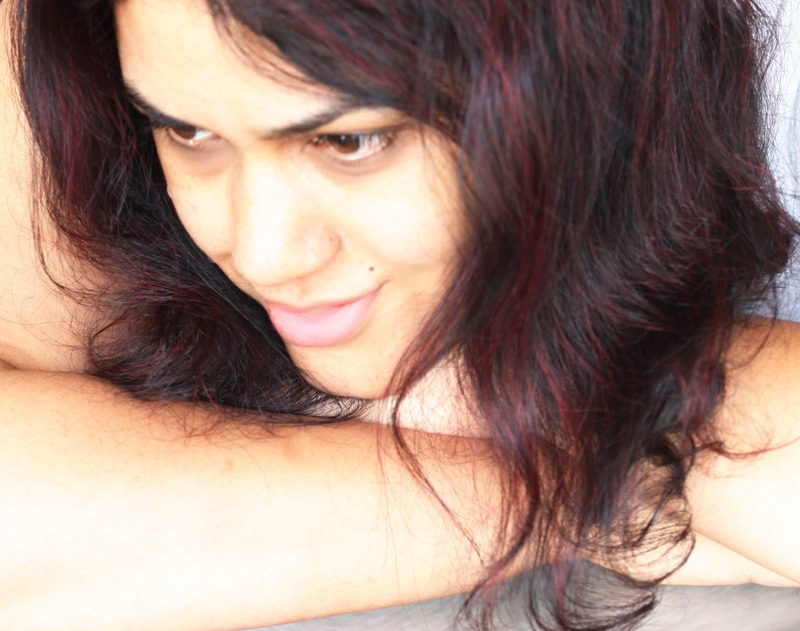 Came to know about your blog through manjiri. Would love to try your rajma too. I tried your mint Mushrooms recipe , came out great but substituted Daal Chawal instead of beer hehehehe. Nice write up. Keeps the hands working in the Kitchen.